IMCDb.org: 1986 Pegaso 7222 4x4 Turbo in "T.I.R., 1984-1985"
How many episodes is from 1984? 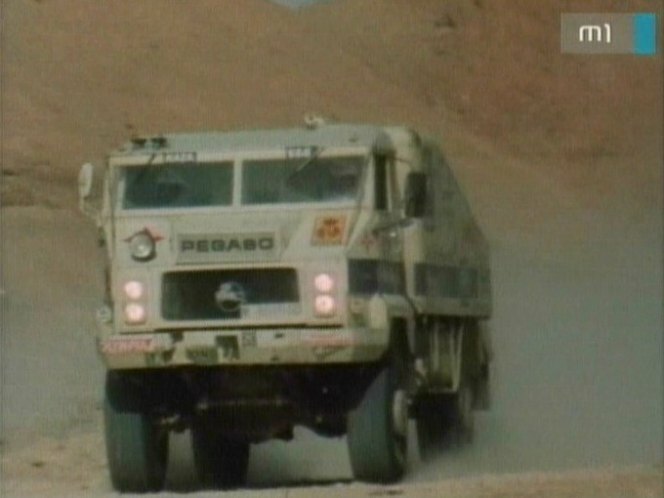 Because 7222 took part in Dakar since 1985, in 1984 Pegaso used 3046, but it had different grille. It's hard to tell, because this co-production series were shot in a long period, but it was broadcast only in 1987. Another problem is the order of the episodes were not the same in Italy and Hungary (I follow the Hungarian order as seen on IMDb). It seems the Paris-Dakar scenes was shot in 1986.